Invest NI’s BIC holds research covering both consumer and industrial markets, and several resources focusing on the food and drink sector. The service provides up-to-date research which can help businesses to make decisions about their products, explore packaging ideas, and develop marketing messages which will resonate with their consumers. With business owners across Britain preoccupied with GDPR compliance ahead of next month’s introduction, its forgotten sibling – the so-called “cookie law” – could dramatically change the way brands communicate with consumers and collect data. New research from Mailjet considered the impact of the cookie law, officially known as EU ePrivacy regulation, on marketing strategies at UK companies. It is vital for small companies to construct an online profile but often small business owners feel overwhelmed when it comes to creating an online presence. Only 54 per cent of micro businesses in the UK currently have a website for their business. So, to help them out we have listed common online mistakes to avoid in 2018. Learn More By Clicking Here. Ever wondered how many emails are sent per day around the world? How about the number of emails that hit your inbox? There are lot of emails getting sent and received, and these numbers are probably higher than you think. Pause for a moment and try to estimate the average number of emails that come into your own inbox on a daily basis. Is it 10? 50? More than 100? Modern inboxes are noisy, crowded, and extremely competitive. For marketers, that means most emails are just part of the cacophony and they’re probably not getting opened or clicked. How does GDPR affect your email marketing program? Among its goals, the GDPR seeks to add accountability to the practices of data controllers and processors. A controller is the one who “determines the purposes and means of the processing of personal data” (that’s you, and maybe us). A processor is one who “processes personal data on behalf of the controller” (that’s us when you send emails via our application). While there are other options for lawful data collection and processing, for marketers, consent will be the strongest and the most familiar. So, what does that mean for your current email marketing strategy? Click Here To Learn More. If you’ve been sending emails for awhile, you may be looking for something new or different to help your emails stand out. Have you considered changing up your email headers? Headers are easy to forget about, as they’re part of the email templates you regularly use. But you can make these required pieces more on brand and more targeted to your subscribers. While there are laws that govern some of what’s required in the header of a commercial email, you can still liven things up. Click Here to take a look at some fun and useful headers that can inspire you to try something new. We know that email drives results… email marketing brings in an impressive average ROI of $44 for every $1 spent. However, knowing which messages to send to whom- and when– is crucial to define for any successful B2C email marketing strategy. So where do you begin? 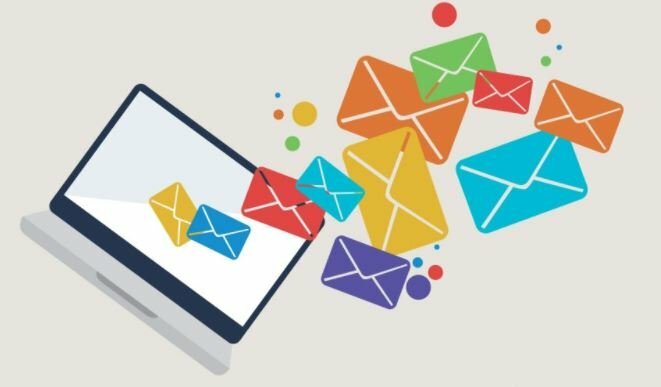 Click Here are learn about seven different types of emails that help engage, convert, and provide value to consumers. If there’s anything pretty much every social media expert agrees on, it’s the importance of good content. Advertising budget or not, if you want to truly get the most from social media marketing, you have to have something interesting to share with your audience. Sounds simple; make good content, be better at social media. Sure, simple in theory, but who has the time and resources to constantly create new, interesting, and engaging content every single day? That’s where being smart with images and media comes in. Click Here for some tips for quick and effective ways to get people interacting on social.